Need to find a reliable commercial cleaning service in Pyrmont? Evolve Cleaning is the choice. 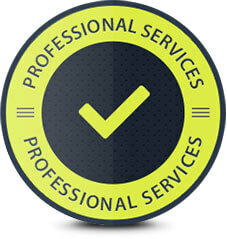 Having been in the business for over 20 years, our vast experience and knowledge makes our cleaning services superior. With over two decades of premium cleaning solutions, Evolve Cleaning is the number one choice for your retail, entertainment, restaurant and office cleaning in Pyrmont. We have a dedicated team of cleaners who take a lot of pride in providing superior cleaning services. Equipped with the latest eco-friendly products, properly attired and fully trained, we go above and beyond in our services to ensure that your commercial space is constantly hygienic and fresh. Customer satisfaction is a high priority for us and therefore we tailor our services according to your needs. Evolve Cleaning has taken care of major brand names in Australia such as Lindt Chocolate and Macquarie Grammar School to ensure that their environment is completely clean to comply with the health and safety standards. We clean your workspace at your convenience by working around your tight schedule. Sanitising, maintaining and reporting are part of our duties to ensure that your environment is constantly well-kept and fresh. Located alongside the harbour, the office spaces at Pyrmont offers employees with exceptional water views and working atmosphere. However, it will be inevitable that the office will become cluttered with paper, mess and junk. Therefore it is necessary to maintain a clean office with Evolve Cleaning. The rewards of a commercial cleaning service are tenfolds with higher productivity, efficiency and greater motivation for office workers. Beside offices are popular entertainment areas in Pyrmont which attracts visitors looking for a pleasant night in the CBD. The Star Casino attracts more than 10 million visitors alone every year. The rubbish and debris that is brought alongside that number is gigantic and requires some serious cleaning management system. Let Evolve Cleaning help eliminate and revitalise your commercial space in Pyrmont. Clearing out bins, cleanup of food and drink spills and eliminating germs in the bathrooms are just part of the job. Why Pick Evolve Cleaning for Pyrmont Commercial Cleaning? Have a Peace of Mind With Evolve Cleaning! Get in contact with Evolve Cleaning today and ask us about our amazing free quote and free site inspection. We customise our cleaning routines to align with your business. With over 23 years of experience under our belt, we know the best way to clean and look after your workplace at Pyrmont. Our dedicated and hardworking team of professional cleaners are here to help you. We are passionate about maintaining and cleaning your commercial space. Best of all, we do it with a big smile on our face.